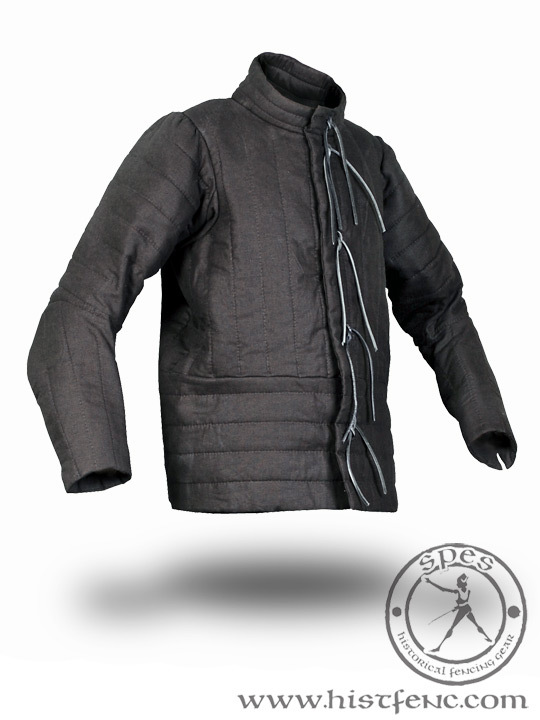 This gambeson was designed for the Polish HEMA groups of ARMA PL and FEDER with help from Jan Chodkiewicz of Fechtschule Gdansk. It gives the best protection with the most amount of mobility. 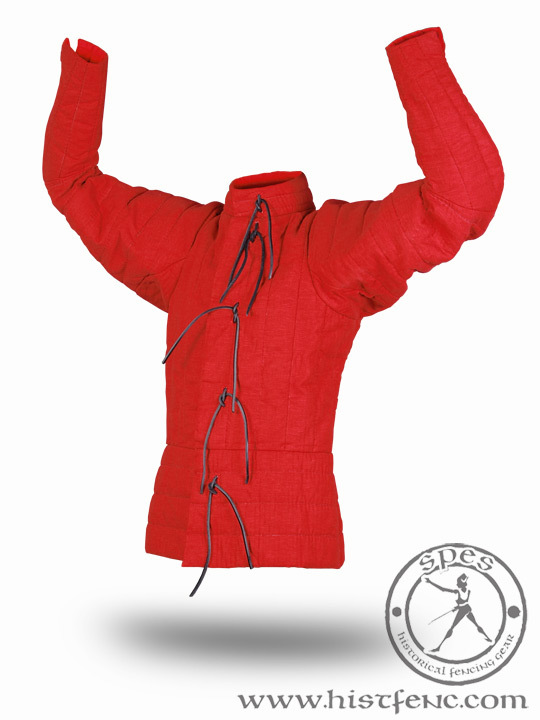 The gambeson is designed to protect from cuts and thrusts; with overlapping material at the torso and the neck. It is tailored so that the gambeson sits at the hips comfortably. 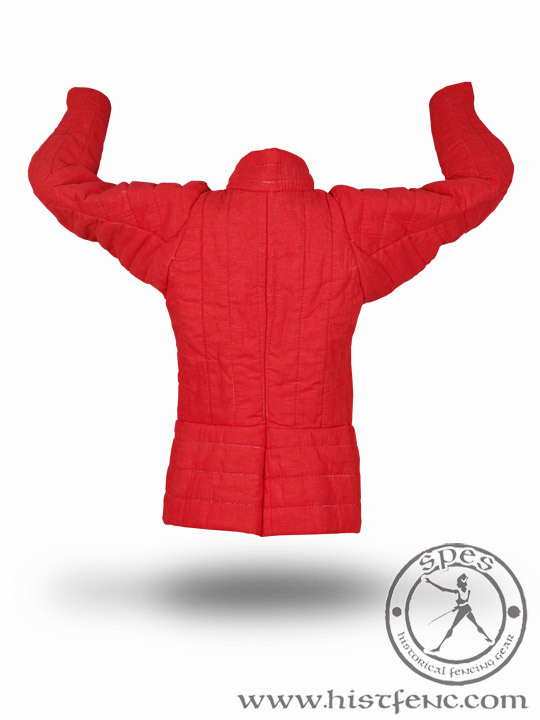 The sleeves are constructed in three pieces to allow for the best possible elbow mobility. There are deep-set sleeves and gussets in the armpits to allow for shoulder mobility. 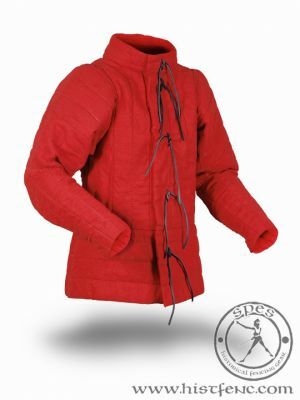 The gambeson has 3 protective layers on the shoulders and 2 protective layers across the chest. 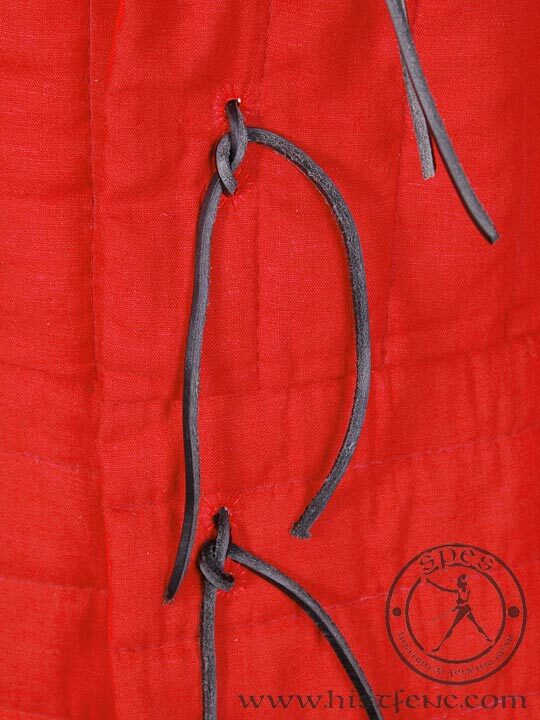 The Fechtschule gambeson is composed of 5 layers of fabric: an outer layer of linen; 2 of cotton; 1 thick, thickly woven, woollen fabric layer; and finally a very sturdy cotton layer. Custom sizing: Please write measurments in the "Customer opinion" space available in your cart before placing the order. For more information please read this.